As I have mentioned in the past with the various post on events and event planners, going to events and helping at the booths are great ways to see what is happening and meet people and the Grace Hopper Celebration is no different. this year at Grace Hopper and had a blast yesterday. I can't wait to see what today brings. The skill sets and knowledge base of women who visited the booth ran the full scope - from women who just heard about Linux or Open Source and/or Free Software to women who are kernel hackers and more. AWESOME!! 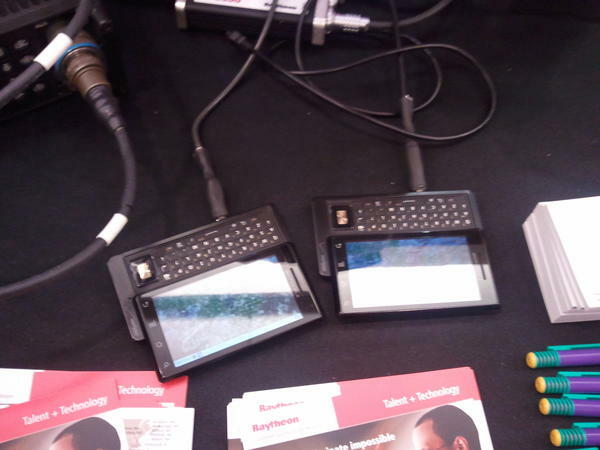 I also had a chance to talk to the Raytheon folks and on their table were two phones running Ubuntu connected to tactical radios via a modem. How awesome is that! I mention to Raytheon booth folks that at the Ubuntu Developer Summit last November I had ran into some other Raytheon folks where we discussed how Linux ran on many of the US Army's helicopters and they were using Dell mini's pre-installed with Ubuntu to connect to those on board systems. It was a great conversation. I can't wait to see where I find Ubuntu today. 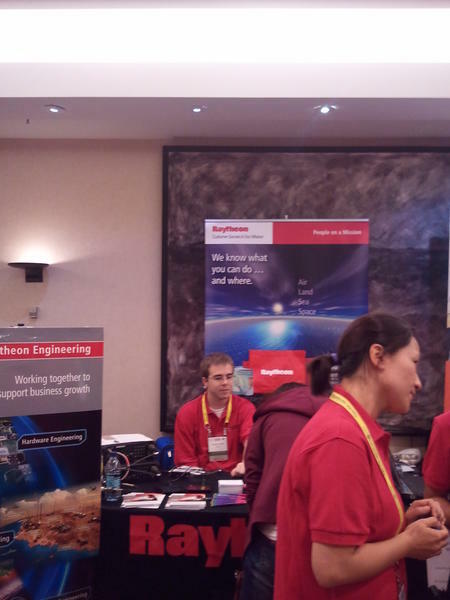 If you are at the Grace Hopper Celebration from 12:30pm on then please stop by the Free Software booth and lets talk about Ubuntu, GNOME internship opportunities and more. Hope to see you there!